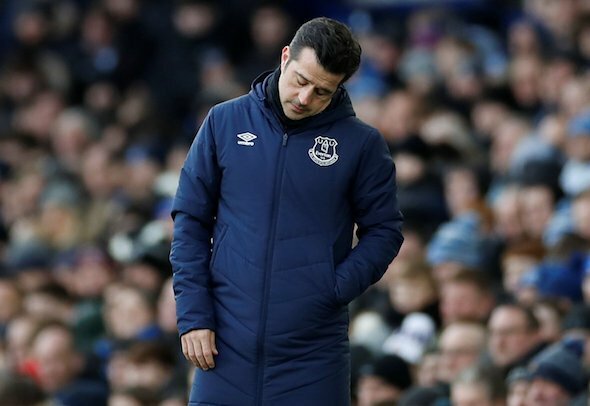 There is no doubting that Everton manager Marco Silva has been feeling the heat at Goodison Park this season but it was at St James’ Park where his frustrations erupted. The Toffees boss was pictured passionately remonstrating with the officials after their 3-2 defeat at Newcastle United – his side allowing a 2-0 lead to slip through their fingers on Tyneside – and it was decided by the FA that he had overstepped the boundaries of acceptable behaviour. Charged with improper conduct, the FA Spokesperson Twitter account issued an official statement revealing that Silva had accepted the charge and was subsequently fined £12,000 for his indiscretion. A steep punishment for your everyday worker, the money will not affect Silva’s fortunes too much – but he should be counting his lucky stars that it was only a fine and not something more severe. The behaviour of managers towards officials was thrown into the spotlight with Tottenham boss Mauricio Pochettino’s rant towards Mike Dean earlier in the season and the precedent from that – a two game ban and a fine – suggested that Silva might find himself in seriously hot water. Yes, the Everton man’s conduct was not nearly as fiery but when you consider that the ban was Pochettino’s first run in with the officials in England, Silva could have been expecting something a little more severe coming his way. Once again it is a case of inconsistency from the FA – not that Silva will mind, with his job already under enough scrutiny as it is.